Amazon Lightsail is the easiest way to launch and manage a Web server using AWS. Lightsail includes everything you need to jumpstart your Website – a virtual machine, SSD-based storage, data transfer, DNS management, and a static IP – for a low, predictable price. You can get started using Lightsail for your website with just a few clicks. Choose the operating system or application template that's best for your website, and your virtual private server is ready in less than a minute. You can easily manage your web server, DNS, and IP addresses directly from the Lightsail console. Single page web apps offer native or desktop app-like performance. They offer all the static website benefits (low cost, high levels of reliability, no server adminstration, and scalability to handle enterprise-level traffic) with dynamic functionality and blazing fast performance. 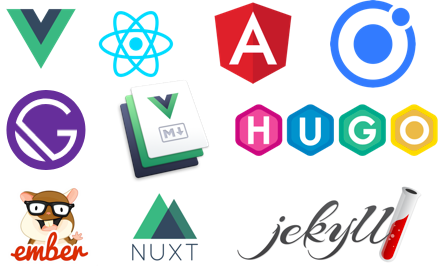 Websites built with Single page app frameworks such as React JS, Vue JS, Angular JS, and Nuxt. Websites built with static site generators such as Gatsby JS, React-static, Jekyll, and Hugo. Websites that have serverless backends. Continuous deployment allows you to deploy updates to your web app on every code commit. Deploy your app to a global audience using our CDN, Amazon CloudFront. Set up your custom domain with HTTPS automatically enabled in a single click. Work on new features without impacting production users with feature branch deployments. Static websites are very low cost, provide high-levels of reliability, require no server administration, and scale to handle enterprise-level traffic with no additional work. Amazon S3 is object storage with a simple web service interface to store and retrieve any amount of data from anywhere on the web. It is designed to deliver 99.999999999% durability and scale past trillions of objects worldwide. To use S3 for a static website, you simply upload files to an S3 bucket and configure your S3 bucket for web hosting. Enterprise websites include very popular marketing and media sites, as well as social, travel, and other application-heavy websites. For example, Lamborghini, Coursera, and Nordstrom use AWS to host their websites. Enterprise websites need to dynamically scale resources and be highly available to support the most demanding and highly trafficked websites. Enterprise websites use multiple AWS services and often span multiple data centers (called Availability Zones). Enterprise websites built on AWS provide high levels of availability, scalability, and performance, but require higher amounts of management and administration than static or simple websites. Amazon EC2 provides resizable compute capacity in the cloud. It is designed to make web-scale cloud computing easier for developers and allows maximum scalability and availability for websites and web applications. Amazon EC2 changes the economics of computing by allowing you to pay only for capacity that you actually use. To use EC2 to host your website, you will need to create and configure an EC2 instance in the AWS Management Console.